As International film production accountants, Graham Associates acts for film production companies, technicians, film studios and international talent. We have developed a unique combination of film making and investment through EIS. Whilst there have been collective investment schemes that intend to invest in film, they often end up being invested in different projects than proposed as the original proposal has fallen by the way side. Unlike those investment opportunities, we make sure that does not happen by starting with an actual project with attached talent with Graham Associates in control. Before any investment is received we look for a project we believe in and one which we think is commercially viable and potentially successful. This must be composed of a well written exciting script in a commercial genre. We ensure there is already interested or attached named talent who also believe in that project. From existing contacts the production team is made up of some of the British film and television industry`s finest professionals. 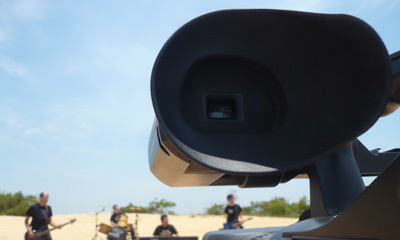 We then create a specific production film company for that individual film or television drama. Before any investment is accepted, we apply for provisional approval for the company as a SEED Enterprise Investment Scheme (SEIS) or an Enterprise Investment Scheme (EIS). A film specific client account is opened to hold all investments for that project. Interest accrued is repaid to the investors proportionate to their investment. Investors will therefore already know exactly what feature or dramas they are investing in. The funds are never used for any other project than that for which the investment is made. They will own part of that movie not shares in a fund. If a project does not proceed for any reason whatsoever the investment, retained in the clients account, is repaid in full. Investors can decide whether to invest then in another project or back out altogether with no cost or charge. When the project is ready to go, the investment is transferred to the film company and shares issued to the investors. We control that transfer so if we do not feel it is fully green lit we retain the funds until it is. For control, in bringing investment to the film company, Graham Associates insists on acting as the film production accountants and for the film production company itself. This ensures that the investment is financially managed and controlled. Being in control of the investment for the film, we ensure it remains within budget yet without affecting creative control. We also ensure compliance for the 3 year S/EIS period. We report regularly to investors on the film`s progress. Investors can ask us any time for an update. We can arrange for set visits and, for large investors, an executive producer`s credit. We can also permit investors to appear in the film itself as an extra should they wish. Investors will be invited to special events or premiers. We have a detailed factsheet on Seed Enterprise Investment Scheme and Enterprise Investment Schemes for you to refer to. We are members of the Enterprise Investment Scheme Association which is recognised by HM Treasury. In essence, the SEIS allows an investor to receive 50% relief in a tax credit. This means a £1 shares costs 50p. An EIS allows 30% tax relief making £1 shares cost 70p. If retained for at least 3 years all gains are tax free. As an example, an investment of £25000 would give an actual tax reduction of £12500 (SEIS) and £7500 (EIS). Graham Associates show investors how to claim the relief or they will assist investors own advisers if required without any fee. Projects can combine both schemes within defined limits. The additional beauty of these investments is that there are no investment fees or charges to the investor as Graham Associates is paid as production accountants calculated as part of the films budget which is available to investors beforehand. There is also capital gains deferment and inheritance tax protection and so ceiling on tax free gains that can be made for EIS. SEIS allows 50% or a reinvested gain to be written off in addition to the 50% tax credit on the full amount invested. British Film production is recognised by the UK Government as vital to the economy. DO FILMS GET SPECIAL TAX TREATMENT AS WELL? Yes films are unique in that respect. In the UK there is the film tax credit which we can claim for that film company. A film qualified by theBritish Film Institute (BFI)can claim 20% of the production costs as a cash sum, or as an enhanced expense used as a reduction in corporation tax or carried forward . This in turn can enhance the return for investors. IS THIS AN INVITATION TO INVEST AS DEFINED BY THE FINANCIAL SERVICES ACT? No, we are providing access to opportunities in which investors make their own decision to invest. We are not providing any financial advice. Whilst we take careful control of projects, film investment is considered a high risk venture and any investment should only be made after you have taken independent financial or legal advice. We will provide full information to and work with any such advisers. HAS THIS BEEN SUCCESSFULLY DONE? Graham Associates has a track record of helping to produce British films in this unique way. 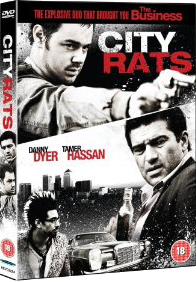 The film CITY RATS starring Danny Dyer, Tamer Hussan, Susan Lynch and Ray Panthaki made a staggering 300% tax free returns for investors. Since then we have completed 11 films have 7 in production and a slate of UK and international films in development. Most of these films have been successfully financed through equity investment and an EIS. Graham Associates (International) Ltd has provided financial contractual advice to such companies as BBC, Walt Disney International, NBC/Universal and William Morris Agency. We have a client bank of film production talent throughout the UK and US including household names. We have instructions to act on many high profile and exciting projects some of which already have expressions of interest from worldwide distributors even at a script level. Several of our clients are BAFTA and OSCAR nominated or winners having worked with visionaries such as James Cameron and Steven Speilberg on such major movies as Titanic, Phantom of the Opera and War Horse. Having a passion for the cinema and television we bring together the best of British film makers with investors and the Enterprise Investment Scheme to make a project happen, make it successful and carefully control the risk. We are also working on several joint ventures with production companies, distributors and investment angel networks. We have developed a refreshing new way to make Great British Films for film makers and an exciting less risky way for investors to be involved in the film and television industry closer than in any other way. This has been so successful that we have also created our own film company, Independent Moving Pictures Ltd (IMP). IMP has already financed 15 filmes all made in Wales. 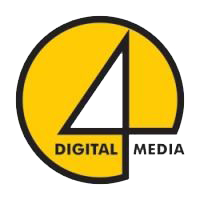 IMP has also created a film fund to make 4 films a year all in partnership with 4Digital Media (UK) which is distributed label of Sony Pictures Home Entertainment (US and Global). All films are reverse engineered to meet market trends. Contact us for more details and a list of current projects in development and proposals.